Evidence shows when families, communities and schools work together, students are more successful and the entire community benefits. 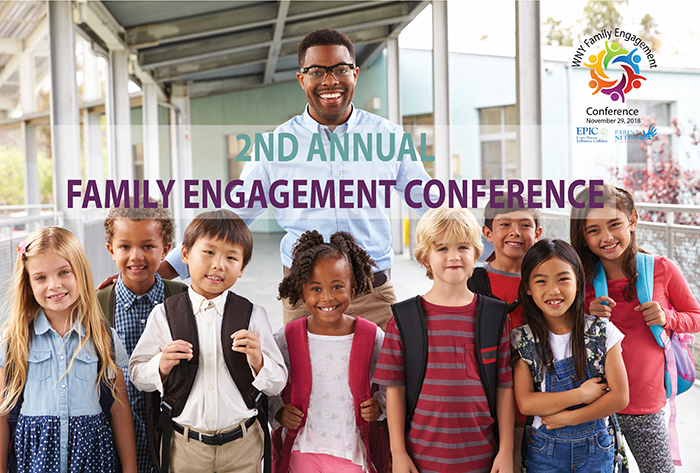 This 2018 conference supports those who want to develop and strengthen family-school-community partnerships. Participants will hear about best practices and high-impact engagement that they can use in their day to day work. Through discussion and work sessions, attendees will learn and share important information about family and community engagement. This conference offers a unique opportunity to build strong collaborations and take valuable information back to their schools and agencies. ​It is our goal that you will walk away with the knowledge and skills to better prepare you to work with families.